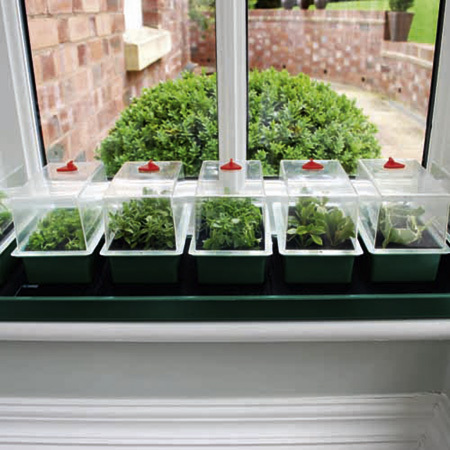 Perfectly sized for the windowsill, and ideal for raising a number of different varieties, the 'Super 7' contains 7 mini propagators, each with a vented lid, that sit on a platform covered in capillary matting. 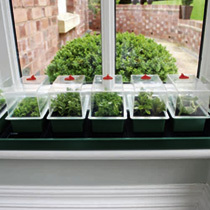 The platform sits inside the outer reservoir tray, which holds 3.4 litres of water, from which plants can draw water as required. 76cm (30") long x 17.5cm (7") wide x 15cm (6") high.